After the Cuellar family migrated from Mexico to Texas in the 1890s, Adelaida Cuellar began selling her handmade tamales at her county fair. In 1928, she opened a neighborhood restaurant, which her family expanded in the 1950s into the El Chico Tex-Mex restaurant chain, typically located in suburban shopping centers. By the 1990s, the Cuellars owned more than 100 El Chico restaurants from Dallas to Dubai, where American oilmen could enjoy a taste of home. The Cuellars were among the early entrepreneurs who helped transform Tex-Mex food into the most popular and widespread form of Mexican American cuisine. Hundreds of Tex-Mex-style restaurants opened across the United States, competing with other regional variations such as Cal-Mex, Sonoran Mex, and New Mex–Mex. Tex-Mex imitators thrived in small restaurants and fast-food chain outlets such as Taco Bell. Central American restaurants also added familiar Tex-Mex dishes and drinks to their menus. El Chico was one of many companies marketing its own brands of canned and frozen foods to be distributed through grocery stores. 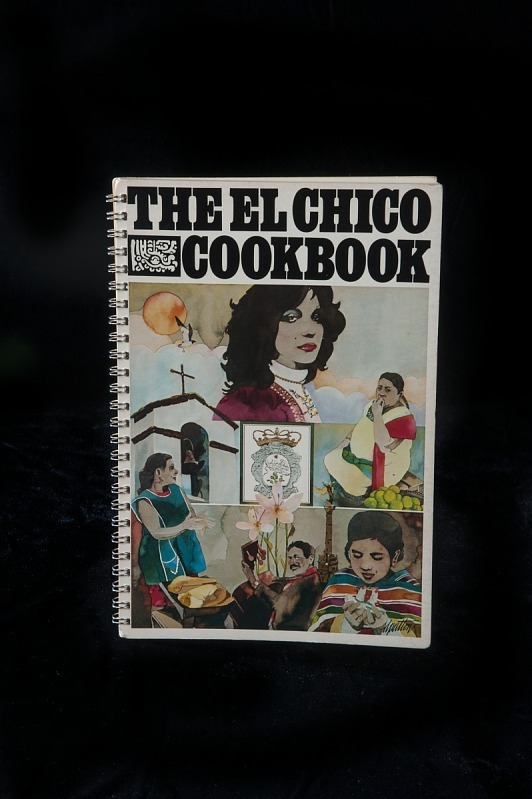 These menus from restaurants in the El Chico chain illustrate how the Cuellars, in step with a growing interest in diverse food traditions, expanded their offerings to include variations from other regions in the American West and Southwest. In the 1970s they combined the original Tex-Mex staples, such as nachos, enchiladas, and tacos, with regional specialties from New Mexico (sopapillas), California (burritos and fish tacos), Arizona (chimichangas) and other regions in Texas (fajitas from Houston). In the 1980s, like other restaurateurs, the Cuellars started experimenting with more upscale Mexican fare, drawing on regional Mexican specialties such as the moles of Oaxaca. Part of the El Chico group, Café Brisas offered Tex-Mex and Mexican regional specialties. Gift of John Cuellar. El Chico products were widely available in supermarkets, especially in Texas and the southeastern United States. Commonly worn in Mexico, this style was also worn from Texas to California by Mexican American women to express a continuing affinity and identity with Mexico. Bearing the colors and Aztec eagle design of the Mexican national flag, entertainers wore the dress during promotional events at El Chico restaurants. Many of the restaurants offered music and dance performances along with the food, often on special days such as the celebration of Mexican Independence.